This Place of Worship was founded before 1909, but we understand it was closed in 1965. 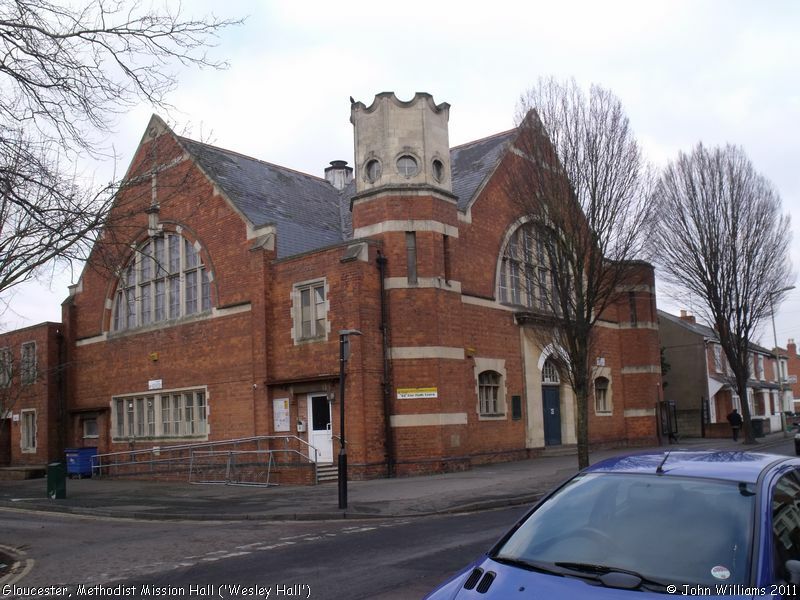 The origins of this chapel's congregation - "the Wesleyan Mission to the Bristol Road area" - can be dated to open-air services held by Wesleyans in Bristol Road in 1891. Later that year they built a temporary wooden mission room at the corner of Clegram Road, and in following years they met in various other buildings, including an iron church erected in 1897, which had been used by an Anglican mission. Then in 1909 they moved to the present building on the corner of Seymour Road and Frampton Road, which had been newly built, to a design by J. Fletcher Trew. It was in use by Americans during WWII, and in 1955, it became Wesley Methodist Church. It was closed in 1965, and the Congregation amalgamated with St Luke's Methodist Chapel, the formal closure notice published in The London Gazette of 28th June 1966 (p.7365), where its original certification was dated 8th October 1910. It was sold to the City Education Committee that year, after which it became 66 Star Youth Centre, but in 2011 was about to close because of County Council cuts. 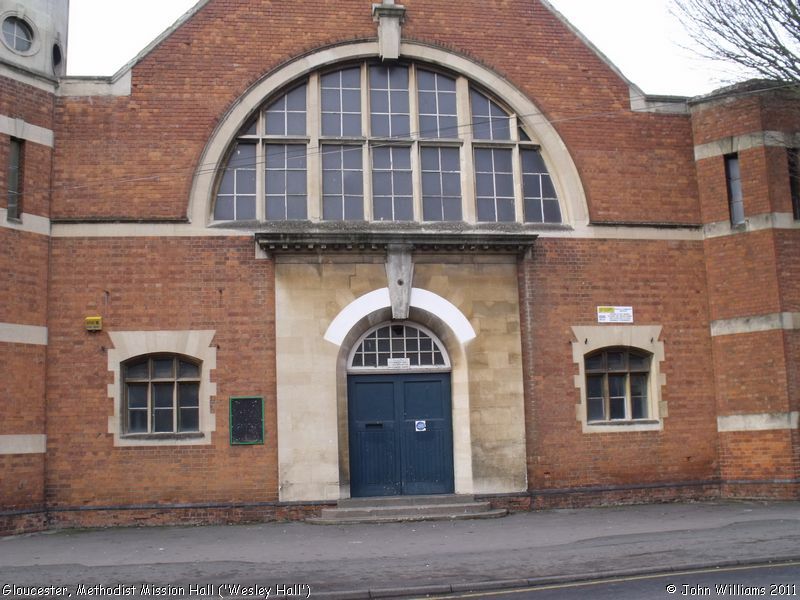 Methodist Mission Hall ('Wesley Hall'), Gloucester shown on a Google Map. Information last updated on 29 Mar 2018 at 08:53. This Report was created 28 Mar 2019 - 23:10:17 GMT from information held in the Gloucestershire section of the Places of Worship Database. This was last updated on 7 Feb 2019 at 07:45.